Advisory Councillors are to be chosen in each State and will thereby represent her respective State Nurses Association. They will act as advisors within the ranks of the Aerial Nurse Corps on professional requirements, as well as mediators within the Association for future demands to be made in aviation for the safety of the nurse, the patient and the aircraft operator. In at least two of the states an approach has been made to the state nurses’ association, and these state nurses’ associations have considered the appointment of an advisory committee on the ANCOA. I am unable to say whether or not such advisory committees are now active, or even that they were ever actually appointed. 1. We recommend the approval and recognition of the Aerial Nurse Corps of America for the development of an aviation department for the nursing profession under the National Defense Program. 2. Recommendation to the C.S.N.A. for the formal approval of the standards and enrollment of the Aerial Nurse Corps of America which includes membership in the American Nurses Association and the American Red Cross Nursing Service. 3. Recommendation for the creation of an Aerial Nurse Corps roster in the Red Cross Nursing files for any and all forms of aviation duty for national emergency under the direction of the American Red Cross. It is evident there is confusion regarding the relationship of the C.S.N.A. Advisory Committee to the A.N.C.O.A. and of its individual members. I am a member of the California State Nurses’ Association and as such I was appointed by the State Association on the Advisory Committee to the A.N.C.O.A. I am not a member of the A.N.C.O.A. From your letter it is my understanding that the chairman of a Special Committee appointed by the American Nurses’ Association has written you, asking you to appoint a committee to confer with this Special Committee. It would seem to me that such a committee is intended to be composed of members of the A.N.C.O.A. II. That in view of the above recommendations, the ANA advise that the State Advisory Committees to the ANCOA, which have been appointed, be dissolved. III. That if the ANCOA should reorganize and select as its president, a qualified nurse, the ANA consider ways and means of developing a close affiliation with that organization. V. That the National League of Nursing Education be asked to develop an outline for such a course. VI. That the outline be sent to the American Red Cross for trial in several of the Red Cross Chapters to determine its effectiveness. VII. That recommendation IV be referred to the Nursing Council on National Defense. The Special Committee of the ANA to confer with the ANCOA submitted its report to Julia C. Stimson, President of the ANA, on 16 May 1941. 1. The organization to be an all-nurse group. 2. Emphasis on greater coordination with all local and national defense organizations. 3. More State Nursing Association Committees as Advisory Committees. 4. A simple form of Constitution and By-Laws adopted to fit the present emergency needs. 5. An effort for increased membership. 7. Simplification of clerical procedures, for leaders of local groups. 8. Monthly educational mimeographed publication on aviation nursing, research and current events to all members. 9. Consideration of the courses of study by local Leagues of Nursing Education with a view toward help and approval. 10. A conference of the nurse-leaders of the Great Lakes area this month. 11. Submitting the new set-up of the organization to the ANA Special Committee to get their help, guidance and support. Perhaps the lingering discontent of ANA leaders with ANCOA was not only that Schimmoler was not a nurse, but also that, as was the case with Relief Wings, ANCOA threatened to exert unwarranted control over the limited number of nurses available for wartime needs. And the need to mobilize the ARC First Reserve of nurses for military service and to fill resulting civilian vacancies would have taken precedence over continued study of the ANCOA situation. 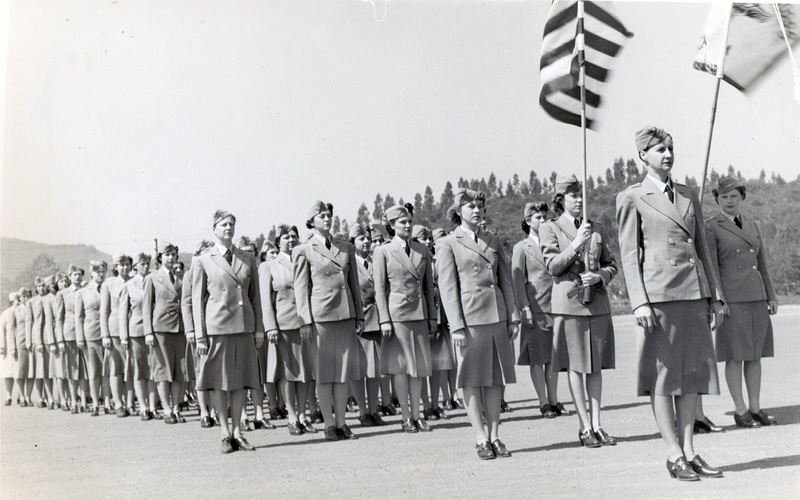 With articles such as “American Nurses – We Are at War!”, “First Reserve Quotas!”, “Nurses, to the Colors!”, and “The Time Is Now!” appearing in 1942 in the American Journal of Nursing, the ANA clearly had more pressing issues occupying its time. Schimmoler had failed in her efforts to achieve formal ANCOA recognition by the professional nurse organization. Ultimately the rivalry between the two organizations was “much ado about nothing”. 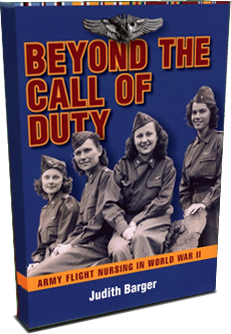 But the deliberations and decisions of nurse leaders of the ARC and the ANA concerning Schimmoler and ANCOA offer insight into how nurses sought to maintain control of their profession as America headed toward its involvement in World War II. 1 Ruth G. Mitchell, “The Aerial Nurse Corps of America,” speech given at Meeting of Delegates of the California State Nurses Association, San Francisco, 15 Aug 1939, 4. 2 Mary Beard, “The Aerial Nurse Corps of America, Inc.,” 23 Jan 1940. 3 “Report of the Committee of C.S.N.A.-Advisory Council for A.N.C.O.A.,” 14 Oct 1940. 4 Ida F. Badger, letter to Mary Beard, 30 Oct 1940. 5 Lauretta M. Schimmoler, letter to Ida F. Badger, 28 Oct 1940. 6 Ida F. Badger, letter to Lauretta M. Schimmoler, 30 Oct 1940. 7 Lauretta M. Schimmoler, letter to Ruth G. Mitchell, 26 Oct 1940. 8 Gladyce L. Badger, letter to Mary Beard, 30 Oct 1940. 9 Emily K. Eck, “Course Outline for Aviation Nursing,” [3 May 1941]. 11 “Special Committee of the ANA to Confer with the Aerial Nurse Corps of America Report.’” [16 May 1941]. 12 “Sent to Detroit News Announcing The Annual Dance of the Detroit Group,” 5 Apr 1941. 13 Leora B. Stroup, “Tentative Reorganization Plans,” Aerial Nurse Corps of America, n.d.; Nichols, letter to Fleming, 16 Feb 1942. 14 “The Aerial Nurse Corps of America Announces – Aviation Emergency Corps,” n.d; “Denver Plans to Have Its Own Unit of Aerial Nursing Corps,” Denver Post, 31 Jan 1941. 15 John F. Curry, letter to Lauretta M. Schimmoler, 26 Jan 1942. 16 Leora B. Stroup, letter to Harry G. Armstrong, 11 Oct 1941; Harry G. Armstrong, letter to Leora B. Stroup, 24 Oct 1941; E.F. Williams, letter to Harry G. Armstrong, 31 Oct 1941; Harry G. Armstrong, letter to Leora B. Stroup, 12 Nov 1941; Leora B. Stroup, letter to Harry G. Armstrong, 19 Nov 1941; Harry G. Armstrong, letter to Leora B. Stroup, 24 Nov 1941; Leora B. Stroup, letter to Harry G. Armstrong, 10 Jan 1942. 17 Ruth Nichols, letter to Harriet Fleming, 16 Feb 1942; Lauretta Schimmoler, letter to Leora B. Stroup, 26 Jun 1942. 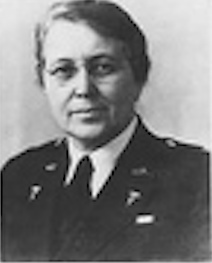 Leaders of the American Red Cross (ARC) had been following the activities of pilot Lauretta Schimmoler and the Aerial Nurse Corps of America (ANCOA) closely ever since her organization had “gotten off the ground” in the 1930s. Officials of the ARC questioned Schimmoler’s motives. First, she continued to imply a connection between the two organizations when in fact the ANCOA was in no way connected with the ARC. Second, Schimmoler was a pilot, not a nurse. Third, she had made enrollment in the First Reserve of the ARC a requirement for membership in the ANCOA. 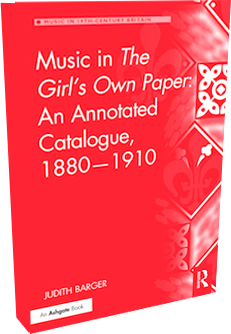 And fourth, Schimmoler had not actually communicated with ARC National Headquarters concerning her organization until 1937. As will be seen below, however, this last point is open to question. These issues were the topics of much correspondence among ARC personnel beginning that same year. Among the letters on file was one from Miss Nellie Porter who has, I believe, held prominent positions in the California State Nurses’ Association. Miss Porter informs us that the woman in question is a promoter, while lacking culture and education [she] seems to have a certain amount of personality. … I find that among the requirements for admission to the Aerial Nurse Corps is enrollment in the Red Cross Nursing Service. They also require the candidates to have had our courses in First Aid and Life Saving. For your confidential information, I have seen a great deal of correspondence, especially from the Secretary of the California State Nurses’ Association which throws considerable light on the organizer of the [Aerial Nurse] Corps. She is not a nurse, is a great promoter with the ability to attract because of her personality but she is not a woman of either culture or education and it is a very great surprise to me that nurses with high standards of education and enrolled in the Red Cross Nursing Service would be willing to organize with a leader who is not one of their professional group. At the present time we look upon nursing in connection with Air Corps activities as a specialty only comparable with certain other features of surgical nursing and do not believe that a special corps of aerial nurses should be trained in the military service or in civil life, especially by an organization independent of the American Red Cross. It is of course an undisputed fact that aerial travel is of very vital importance and will become increasingly more so in the future. From your letter and other information that has come to me unofficially during the past few months, it would seem that you have a very well planned organization and if the motive is to care for commercial and aerial transportation, your success is no doubt assured. In the Army, however, we have a well organized corps of nurses and flying is not unknown to them. I venture to say that the majority of them have experienced the thrill of traveling by air, and when necessary to transport a patient from one section of the country to a hospital some distance away, a doctor and a nurse board a plane and accompany the patient. To us a nurse on a transport plane is like any nurse having a special assignment; such as being a surgical nurse, anesthetist, laboratory technician, etc. In times of peace very few calls are made for such assignments and if we should become involved in a conflict of some kind, any well trained nurse to whom air travel is not distasteful could be so assigned, so that at the present time at least there seems to be no factual justification for a group of nurses being segregated and called aerial nurses. Nor does it seem advisable to have two organizations with such similar nomenclature that confusion may result therefrom. Miss Schimmoler seems determined to “draw” us in regard to this aerial service. 1. If we reply to this letter approving of what these nurses are doing, she will undoubtedly give publicity to this approval. 2. If we do not approve it, she will publish this disapproval and I do not like either position. You were kind enough also to give us assurances of the desire of your group to cooperate fully with our society. There is, we believe, a practical method in which this cooperation may be made effective, namely by exercising constant care to have the public fully appreciate the special and separate fields in which both of our organizations are engaged. As you know, we maintain a reserve of nurses who may be needed for duty with the United States Army and Navy. If and when there be need by these branches of the Government for nurses especially trained in aviation matters, the Red Cross will proceed promptly to meet this need. 1 Ida F. Butler, letter to Mrs. Maynard L. Carter, 30 Aug 1937. 2 Ida F. Butler, letter to Gladyce L.Badger, 3 Sep 1937. 5 Ida F. Butler, letter to Mrs. Maynard Carter, 17 Sep 1937. 7 Lauretta M. Schimmoler, letter to H.A. Coleman, 22 Mar 1945. 9 Cary T. Grayson, letter to Charles R. Reynolds, 25 Oct 1937. 10 Charles R. Reynolds, letter to Cary T. Grayson, 29 Oct 1937. 12 Lauretta M. Schimmoler, letter to Julia O. Flikke, 23 Apr 1938. 13 Julia O. Flikke, letter to Lauretta M. Schimmoler, 29 Apr 1938. 14 Ida F. Butler, letter to Julia O. Flikke, 28 May 1938. 15 Mary Beard, letter to Mr. Hughes, 31 Mar 1939. 16 Mary Beard, letter to Mr. Hughes, 1 May 1939. 17 Virginia M. Dunbar, letter to Mary Beard, 1 Jun 1939. 18 Mary Beard, letter to Lauretta M. Schimmoler, 7 Jul 1939. 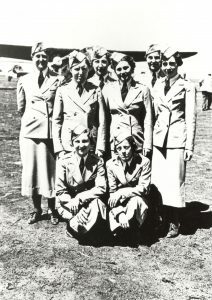 Detroit Company A of the Third Wing, Fifth Division was one of the more active Aerial Nurse Corps of America (ANCOA) units. 1 Its success may be attributed in large part to the efforts of Company Commander Captain Leora B. Stroup. 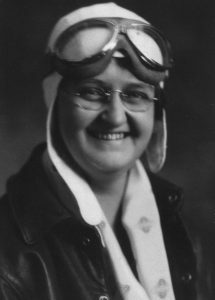 A registered nurse employed in nursing education, Stroup knew when she saw the female pilots at the National Air Races in Cleveland in 1929 that she, too, wanted to fly. A few years later in 1933 she earned her pilot’s license at the Cleveland Airport, where she met pilot and ANCOA founder Lauretta Schimmoler and, like Schimmoler, later was inducted later into the Ninety-Nines, the national organization of licensed women pilots. 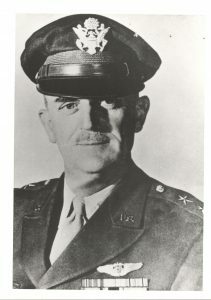 2 Stroup was also a member of the Civil Air Patrol and the National Aeronautic Association and held national offices in ANCOA, serving first as its treasurer and quartermaster and later as its director of nursing. In 1941 Schimmoler appointed Stroup ANCOA president. 1 Jean Pearson, “Detroiter Receives Ideal Job,” Detroit Free Press, 6 Oct 1942. 2 “’Flying Nurses’ Train Here for Defense,” Detroit Evening Times, 2 Feb 1939. 3 Mary Eileen Newbeck Christian, interview with author, St. Petersburg, FL, 21 May 1986. 4 Margaret Gudobba, “Michigan Great Lakes Breezes,” ANCOA Flashes 3 (Mar 1940), 6; “Plans Dance,” Detroit Free Press, 27 Apr 1940; Hilda Lackner, “Ohio Air City News,” ANCOA Flashes 3 (Mar 1940), 4; Ruby Lilly, “California Sunshine Co. A – 1st Div.,” ANCOA Flashes 3 (Mar 1940), 7. 5 “’Flying Nurses,’” 2 Feb 1939. 6 Margaret Quinn, letter to War Department, Michigan Military Area, 14 Oct 1940. 7 “Sent to Detroit News Announcing The Annual Dance of the Detroit Group,” 5 Apr 1941. 8 Margaret Quinn, letter to War Department, Michigan Military Area, 14 Oct 1940. 9 “Sent to Detroit News Announcing The Annual Dance of the Detroit Group,” 5 Apr 1941. 10 John G. Slevin, letter to Leora Stroup, 16 Jan 1941. 11 H.H. [Henry H] Arnold, letter to Lauretta M. Schimmoler, 27 Sep 1937. 12 Henry H. Arnold, letter to Lauretta M. Schimmoler, 20 Oct 1937. 13 Julia O. Flikke, memo to Malcolm C. Grow, 11 Oct 1937. Grow’s full title was Chief Flight Surgeon in the Office of the Chief of the Army Air Corps. 14 “Employment of American National Red Cross,” Army Regulation No. 850-75, 30 Jun 1943. (Supersedes Army Regulation 850–75, 30 Aug 1926), 4–5. 15 American Red Cross Nursing Service (Abridged) (Washington, DC: The American Red Cross, May 1942), 6. Lauretta Schimmoler, a pilot who in the 1930s founded the flight nurse organization Aerial Nurse Corps of America (ANCOA) independent of the other service organizations such as the United States Army and the American Red Cross (ARC), nevertheless intended that ANCOA would become the air unit of the ARC, which in turn provided nurses for the military. Although a civilian organization, the ANCOA was organized according to military command structure, with national headquarters in Burbank, California. ANCOA was divided into three wings based at Burbank Union Air Terminal, Newark, New Jersey Airport, and Cleveland, Ohio Municipal Airport that were subdivided into nine divisions throughout the United States in Burbank, San Antonio, Omaha, Chicago, Cleveland, Atlanta, Baltimore, Newark, and Boston. Each division corresponded to corps area boundaries found in the United States Army. The divisions were further subdivided into companies. The military analogy went even further. Members of ANCOA were assigned rank commensurate with their position. The national commander held the rank of colonel, a lieutenant colonel commanded a wing, a major commanded a division, and a captain commanded a company. Are you serious and sincere about your enlistment? Do you promise to study the Regulations and live up to them? Do you promise to preserve them? Do you promise to read all orders, and communications and endeavor to comply with them to the best of your ability? Do you promise to be loyal to your Flag and the members of the Corps? Do you promise to relinquish all properties belonging to the Aerial Nurse Corps of America, when being discharged or reassigned? Do you promise to notify your Captain when ill or unable to attend? Giving reason. Do you promise to obtain a Furlough when being absent for a period of more than 3 meetings? Do you promise to carry out all instructions and assignments to the best of your ability? Do you promise to apprize commanding officers regarding characters of individuals being recruited when you know their character will be harmful to your organization? Upon your HONOR in the presence of these Witnesses you have promised to be faithful and uphold the principles and Regulations of the Aerial Nurse Corps of America. An ANCOA nurse was required to be a single female American citizen between the ages of twenty-one and thirty-five with a height between five feet two inches and five feet eight inches inclusive and a weight corresponding to her age and height. She had to pass a physical examination to determine her fitness for air duty. The applicant was also required to be a member of her state nurses’ association and a member of the First Reserve of the American Red Cross, which provided the pool of applicants from which military nurses were drawn. 1 Aerial Nurse Corps, Regulations Manual (Los Angeles, Burbank, CA: Schimmoler, 1940), 4–5, 45, 47–48. 2 Leora B. Stroup, “What is the Aerial Nurse Corps of America?” n.d., 2. 3 “Ten Commandments of an Aerial Nurse,” Aerial Nurse Corps of America Memorandum, 20 Jun 1938. 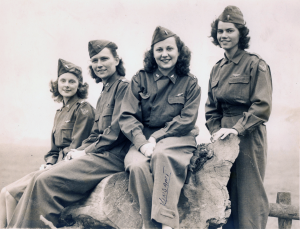 4 “Aerial Nurse Corps,” brochure, n.d., 4. 5 “Pledge of Allegiance to the United States of America and the Aerial Nurse Corps,” Aerial Nurse Corps of America, n.d.; “Oath,” Aerial Nurse Corps of America, n.d.
6 Stroup, “What is the Aerial Nurse Corps of America?” 2; Leora B. Stroup, “A New Service in an Old Cause,” Trained Nurse and Hospital Review 105 (Sep 1940): 188; Ruth G. Mitchell, “Schedule of Courses and hours for 3 years,” Aerial Nurse Corps of America Bulletin No. 2, n.d.
7 Aerial Nurse Corps, Regulations Manual, 2-4; Stroup, “New Service,” 187–88. 8 “Aerial Nurse Corps of America Regulation Uniform,” n.d.; Lauretta Schimmoler, “Memorandum: Ordering Regulation Uniforms,” Aerial Nurse Corps of America, 28 Jul 1938; “Official Uniform for Aerial Nurse Corps and Aviation Emergency Corps Members,” n.d.
9 “Aerial Nurse Corps,” brochure, n.d., 4. 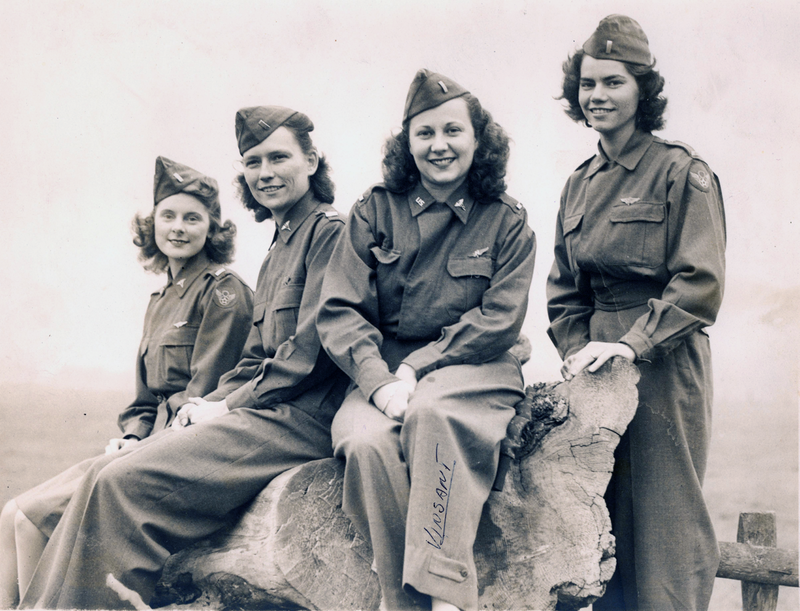 10 “Aerial Nurse Corps,” Trained Nurse and Hospital Review 107 (Oct 1941): 281; “Call To Service,” Trained Nurse and Hospital Review 107 (Oct 1941): 281; “American Nurses – We Are at War!” American Journal of Nursing 42 (Apr 1942): 354; “Urgent Need for Nurses,” American Journal of Nursing 44 (Nov 1944): 1017. 11 “The Meaning of ‘Aerial Nurse Corps,’” Aerial Nurse Corps of America Memorandum, n.d.
12 Stroup, “What is the Aerial Nurse Corps of America?” 2. 13 Stroup, “A New Service,” 184; Stroup, “What is the Aerial Nurse Corps of America?” 3. A new company was also to be formed in Kansas City, but the state was not specified. 14 “Sent to Detroit News Announcing The Annual Dance of the Detroit Group,” 5 Apr 1941. 15 Lauretta M. Schimmoler, letter to H.A. Coleman, 22 Mar 1945. 16 “Interest in Aviation Increases Aerial Nurse Corps Activities,” Aerial Nurse Corps of America, 15 Sep 1940. 18 Aerial Nurse Corps, Regulations Manual, 1. By the 1930s, the use of stewardesses on airlines, an idea launched by Boeing Air Transport, had caught on not only with air passengers but also with America’s nurses who applied by the thousands for the chance to take their nursing into the skies. By 1932 Schimmoler, who now was living in Cleveland where she was vice-president of Vi-Airways and in charge of its Women’s Division, had begun preparations for her civilian flight nurse organization. Here she gathered together a group of nurses interested in her idea and formed the Emergency Flight Corps whose initial task was to research and develop the aerial nurse concept further. 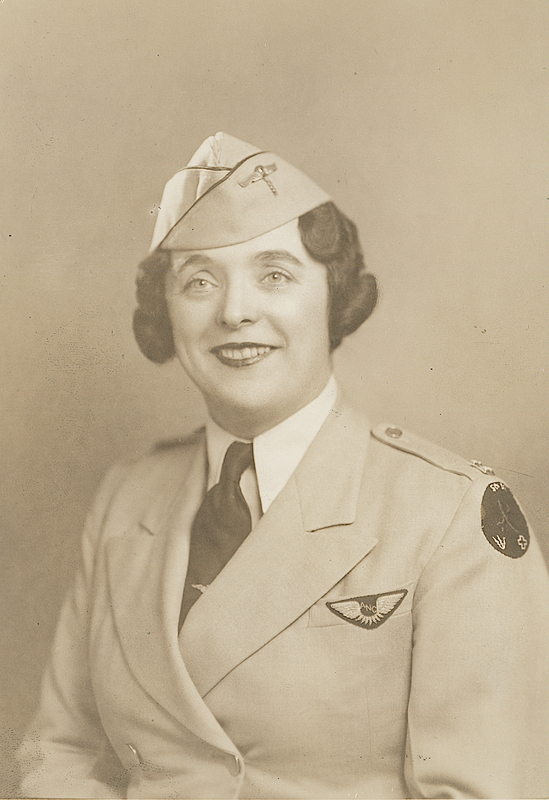 After moving to Los Angeles in 1933, where she worked in the first of several aviation-related jobs, Schimmoler continued to pursue her plan for aerial nurses. For the National Air Races held in that city in 1936, Schimmoler provided ten registered nurses to staff two field hospitals under the direction of the Chief Medical Officer for that four-day event. 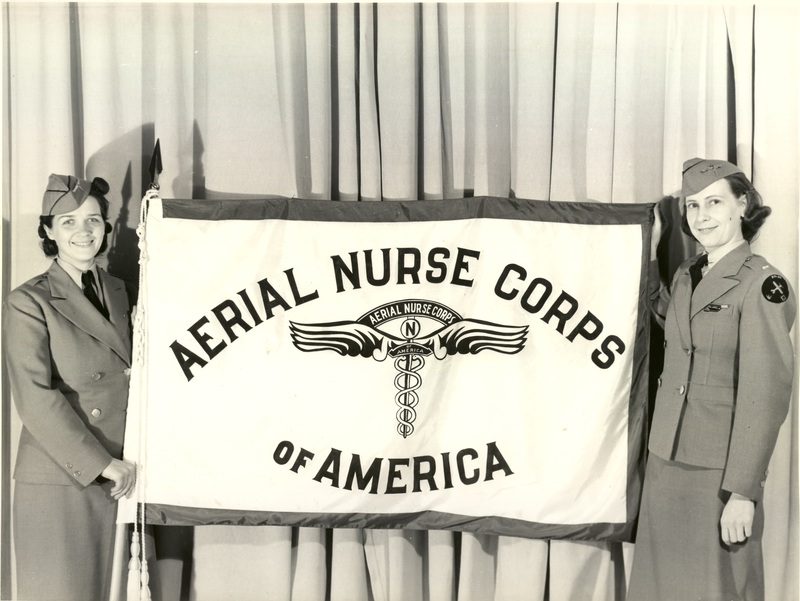 The Emergency Flight Corps, renamed the Aerial Nurse Corps of America (ANCOA), was now operational, having aided 220 persons attending the races. 2 By 1940 ANCOA structure, objectives, routines, and course of study were spelled out in the sixty-three page Regulations Manual and other supporting organizational directives. From the time that she launched the ANCOA, Schimmoler worked steadily to have the organization endorsed and recognized as the flight nurse unit of various service organizations, both civilian and, ultimately, military. 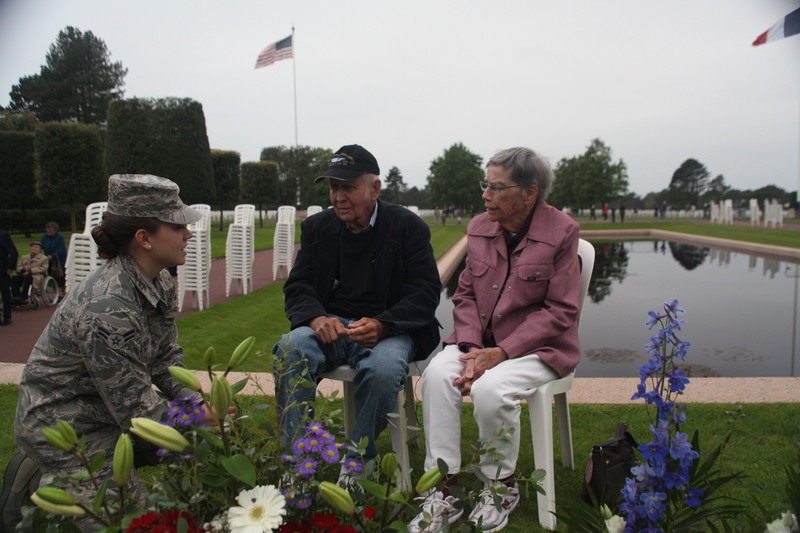 Believing that actions speak louder than words, ANCOA members offered their services at air meets, air shows, and other aviation activities, gaining some local and national exposure in the press. When the need and opportunity arose, the nurses accompanied patients on flights as well. Media coverage that followed had more impact than advertising in bringing the work of ANCOA to the attention of the public. National ANCOA officers then referred to these activities in their speeches to nursing and aviation organizations. 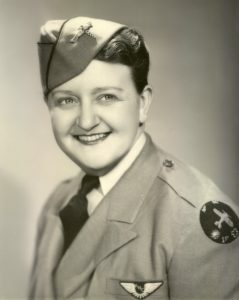 Schimmoler, who founded her flight nurse organization independent of the other service organizations such as the United States Army and the ARC, nevertheless intended that ANCOA would become the air unit of the ARC, which in turn provided nurses for the military. Undaunted in the face of the skepticism she encountered when promoting her new organization to nursing officials, Schimmoler relentlessly pursued her goals. 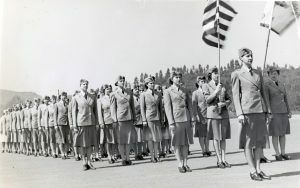 The formative years of flight nursing prior to the development of the program in the United States Army Air Forces were marked by the rivalry of these two organizations – ANCOA and ARC – that were in contention to provide the nurses for a flight nurse program in the United States military. This rivalry highlights an issue that has plagued nursing from its beginning: that nurses should control their own profession. 1 Aerial Nurse Corps of America, Regulations Manual (Los Angeles, Burbank, CA: Schimmoler, 1940), n.p. ; Leora B. Stroup, “A New Service in an Old Cause,” Trained Nurse and Hospital Review 105 (Sep 1940): 186. 2 Aerial Nurse Corps, Regulations Manual, n.p. ; Douglas J. Bintliff, “Aerial Nurse Corps,” Air Trails, Nov 1940, 54; Emerson, “Most Recent Emergency Unit,” 10; Stroup, “New Service,” 186–87. 3 “The Aerial Nurse Corps of America” brochure, n.d.
4 “The American Nurses Aviation Service, Inc.,” Journal of Aviation Medicine 2 (1931): 262–63. 5 Ibid. ; “The Nurse in Aviation,” Journal of Aviation Medicine 3 (1932): 5; “The Nurse in Aviation,” Journal of Aviation Medicine 3 (1932): 116–18. 6 “The American Nurses Aviation Service Inc.,” Journal of Aviation Medicine 3(3) (Sep 1932): 176. 7 “American Nurses Aviation Service, Inc.,” Journal of Aviation Medicine 4 (Mar 1933): 19. 8 Emerson, “Most Recent Emergency Unit,” 10; Leora B. Stroup, “What is the Aerial Nurse Corps of America?” n.d., 2; James Farrer, “Flying Nurses Do Without Glamor,” [Dayton] Sunday Mirror, 20 Apr 1941; “Nurses Mobilize for Duties in New Home Defense Service,” Los Angeles Times, 23 Mar 1941. 9 Gill Robb Wilson, letter to Mary Beard, 16 Apr 1940. 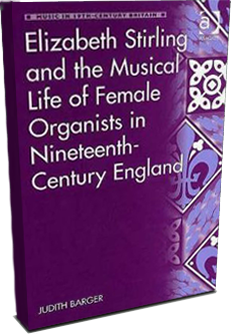 10 Lauretta M. Schimmoler, letter to H.A. Coleman, 22 Mar 1945; Lauretta M. Schimmoler, “The Story of How It All Began: “And They Said It Wouldn’t Be Done,” unpublished manuscript, n.d., 7. 11 “Relief Wings,” brochure, n.d.
12 “Relief Wings, Inc.,” Journal of Aviation Medicine 12 (Sep 1941): 260. 13 Ruth Nichols, letter to Harriet Fleming, 16 Feb 1942. 14 Ruth Nichols, letter to Lauretta Schimmoler, 5 Dec 1941. 15 Nichols, letter to Fleming, 16 Feb 1942. 16 Aerial Nurse Corps, Regulations Manual, 1.